This first tip is not always 100% necessary, but I can say from experience that it will certainly make things easier. Approach your building and district administration with concrete examples of how integrating more technology will increase student engagement, thus increasing student learning opportunities. Additionally, provide real life examples of how social media and technology have improved your abilities as an educator. Share with them how social media and technology can be a valuable asset when it comes to educator growth and development, as well as how these tools can be used as a foundation for professional development. In order for this technology revolution to start you must have an idea of where your fellow colleagues are when it comes to technology knowledge and background. Simply take some time to both formally and informally ask questions. This will help you when it comes to knowing where to start, as well as what information could be skipped over and/or re-emphasized to get the technology revolution underway. Additionally, use these questions to find out what pieces of technology and social media are already being used, and in what ways they are being used. I have probably heard "You need to slow down" more than any other comment thus far in my career. The excitement and passion some educators have for technology and social media is awesome...however, this excitement must be contained and released on a slow and controlled basis. 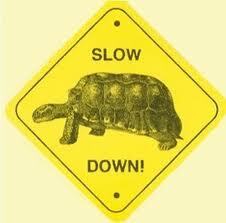 Going slow ensures you won't lose anyone simply because you were going too fast. Remember, some of these concepts and ideas are 100% brand new, so consequently going slow and not overwhelming anyone is key. Please don't forget that our colleagues are learning and have similar characteristics and qualities as our students do. Furthermore, you can't and shouldn't give them too much to bite off at one time. Take it slowly and present one or maybe two concepts at a time. By limiting yourself to one or two concepts, your fellow educators have a much better chance of fully grasping those topics before moving on to any new ones. A stressed and confused brain shuts down...make sure you don't help in creating a room full of shut down brains. As the year progresses and the technology revolution is more underway, a few sparks and shining stars will begin to emerge. These educators will be embracing the technology revolution. They will even be using some of the concepts they have learned in their classes. These educators need to be encouraged and supported, because they are taking a chance and a risk by trying something new (in case you didn't know, this is really difficult for most educators). Allow these "superstars" to discover and explore, but keep them also in close contact. Be there to help at the first sign of struggling, but only if they want help. These shining stars are the first sign of a successful technology revolution. They will be alone and at times alienated for trying something new, they will need your support and guidance. Invite and encourage students in your school to help teach and lead social media and technology sessions. Can you imagine a better way to get students more involved and engaged than this? This will also help educators to realize it is okay to not know all the answers. We can learn from students just as we expect them to learn from us. The students are and will continue to be a great resource that unfortunately, most schools never tap into...let's change that. 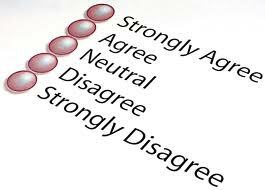 Just as educators use formative assessments to get feedback and information from students, we need to get feedback and information from our colleagues. Ask them how these new ideas are impacting their classrooms; ask them if they are using any of these tools to grow professionally; ask them if they see value in learning about technology and social media integration. You have to not only ask these questions, but you also have to respond to their answers. Simply asking the questions is not enough, you will need to change, modify, and adapt based on their responses. 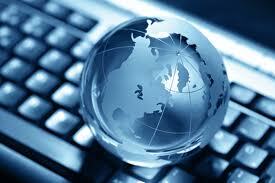 This is a vital key moving forward as you continue the technology revolution. Busy is the default. We are all busy, but when you are starting a revolution, you will need to offer your assistance and services when others are available and have time. This will require you to stay after school to help. This will require you to use your conference period to answer emails and trouble shoot problems people might be having. It is absolutely crucial you are available to help answer some of the questions your colleagues WILL have. The first stages of any revolution are the most difficult...this one will be no different. When somebody asks, and they will ask, "How does this work for me in my class," you will need to have an answer. Put yourself in their shoes for a moment and think about how these new tools can have a positive effect on their classroom. Provide your colleagues with lists and resources of other people teaching the same or similar classes. If your fellow educators don't see how technology and social media integration can help them or their students, they will not take part in the revolution. As hard as it is to imagine, there will be fellow educators who will be critical. They will purposely try to derail the technology revolution. They will talk in the shadows about how this is just one more thing and by next year it will be gone. They will relish in any setback or problem that arises. DO NOT LET THEM GET YOU DOWN. You see value in what you are doing, and you know it can positively affect the lives of both students and educators. Remain steady in your resolve and do what is best for the kiddos. Your colleagues will be looking to you for leadership and inspiration, and it is your job to be the unyielding voice of optimism and hope. Are you ready for the revolution...? "Make sure everyone sees technology as a useful tool, rather than a glitzy add-on." If we don't all wrap our heads around that one, there's not much point in using technology. So I recommend making sure not to use technology unless you can see why the technology is the best tool for this job. I agree with dwees that it's important to ensure that the new technology has a meaningful purpose to encourage critical thinking. I was attracted to your article because I've become a technology leader in my school, and it's a bit lonely at the moment; I smiled at 3 and 4 because my principal pulled me aside recently and said exactly that...go slow and your message will have a better chance of being absorbed...you don't want people to tune out because they don't understand what you are talking about. That's the learning curve for me right now: determining how much is enough and what staff are ready for. Good post, Justin...I enjoyed it and think you offer some really practical suggestions for all change efforts, not just those that involve technology. 1. Do you think that embedding technology into other existing change efforts would help to relieve some of the "oh damn, not another initiative" thinking in teachers? An example: My school is just at the edge of starting an adolescent literacy effort. Would it be more effective for the technology change agents in our building to focus on how technology can be used to support adolescent literacy? I'm even somewhat convinced that it would lead to more responsible instruction with technology, too---and be more approachable to teachers, who are likely literacy experts but afraid of technology. 2. Do you think schools need to do a better job at differentiating their technology integration efforts? I mean, while putting an IWB in my classroom would be a colossal waste of cash, is it possible that putting an IWB in the classroom of another teacher might make a real difference for teaching and learning? And is differentiating even possible, considering that tech investments often outlive the teachers that the technology was purchased for? Great thoughts, Justin. I wonder how much easier this process would be if we described the changes as being part of a greater "Learning Revolution" rather than "Technology Revolution." As you suggest, helping teachers see how the tools will impact and broaden student learning experiences is the way to go. Enjoyed reading your post! I have recently been working with my teachers to re-think technology and how it can enhance their learning and student learning. A few of your points stood out to me. #1 = essential. I have seen it in so many instances. If you don't have the support of the building principal, you are going to have a hard time building capacity. #6 = I would throw another angle onto this one. By getting it going with students, you build a buzz. The noise of a few students who are excited, engaged, and learning will spread. It will (and I see it happening where I am) spread to other classrooms and it will spread to the parent community. When other teachers hear their students and parents talking about it, they will become interested. #8 = Totally agree. Give, give, and give some more. If you have the expertise then you can make a difference. #9 = I am taking a slightly different approach with my teachers on this one. When a teacher asks a question or has a scenario in their classroom, my first approach is to answer it with technology (if it is appropriate to the situation). In this way I am supporting them in resolving issues that are connected to and embedded in their work. In this way there is value associated with at least trying the technology. Looking forward to hearing more about how things are going for you! Nothing will matter until we are willing to ask students, "What do you want to know?" instead of telling them, "This is what you are going to learn!" If you cheat, you deserve a ZERO! What does 'real-world' education look like? I don't have any secrets... should I?